Writer/Director Maggie Betts won the Breakthrough Director Award at the 2017 Sundance Film Festival for her feature debut. The compelling story focuses on a group of young women training to become nuns and the challenges they and the Catholic Church face at the advent of Vatican II reforms in 1964/1965. 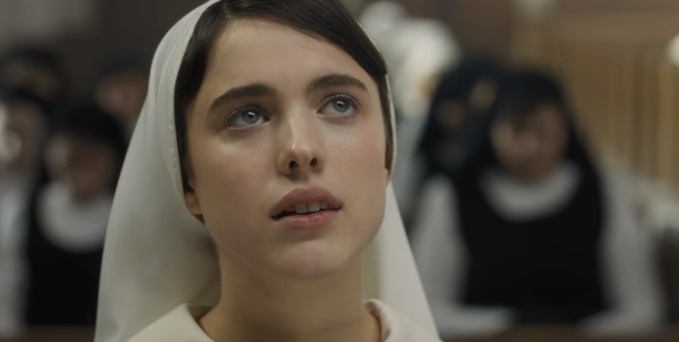 My guest Dominic Laing and I discuss how Novitiate impacted us and connected with issues of faith in each of our lives. Novitiate made my Top Films 2017 list, and two performances, by Melissa Leo and Julianne Nicholson, made my Top Film Performances 2017 list. Read more about this film on my personal blog. This entry was posted in Cinema and tagged Dianna Agron, Julianne Nicholson, Maggie Betts, Margaret Qualley, Melissa Leo.